This book is about you and the organizations where you contribute your time and talent. It explores a simple, impactful leadership concept along with specific tactics you can use to enable your organizations to be more interesting, innovative, and effective. Most books, articles and programs on leadership focus on skills, perspectives, and practices of being the leader. This book focuses on helping you influence your organizations, whether they are for-profit or not-for-profit, small or large, to become cultures where all associates are encouraged to contribute leadership. During my 45-year-career, I held multiple leadership titles and sets of responsibilities. I served in leadership roles with a variety of civic, not-for-profit, and professional organizations. I participated in many leadership-focused seminars, and conducted hundreds of meetings and conferences for people in leadership roles. For a significant portion of my career, I had the words “professional development” in my title. I had the opportunity to teach people to be leaders of their professional lives. I am proud of that. I love the idea that we are the leaders of our personal and professional development. I believe each of us creates opportunities to positively advance by first finding ways to listen and learn. Then we continue to positively progress by finding ways to teach and coach. Michael Gerken was born in Kansas City, Missouri in 1946. He began his career in the financial services industry in 1968 after graduating with a business degree from the University of Missouri. He obtained his MBA in Organizational Behavior from the University of Missouri-Kansas City in 1971. He obtained a Certified Financial Planner designation in 1979. He continues to be engaged in leadership activities in civic and not-for-profit organizations. 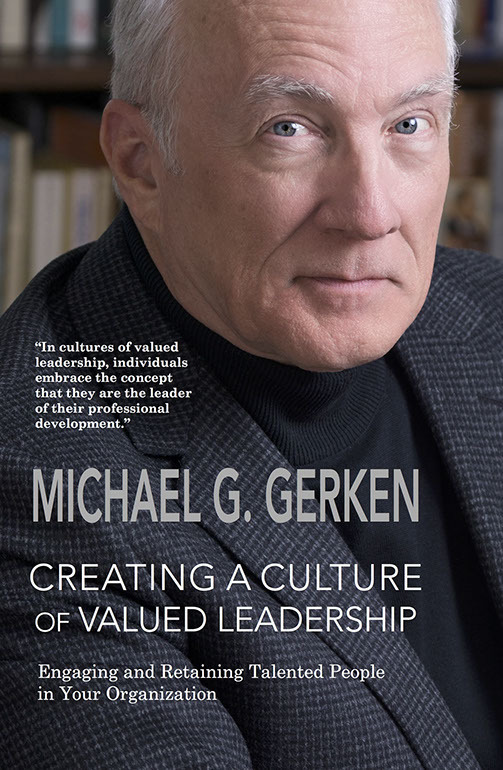 Michael G. Gerken would love to hear from you. Please send him a message using the form below.